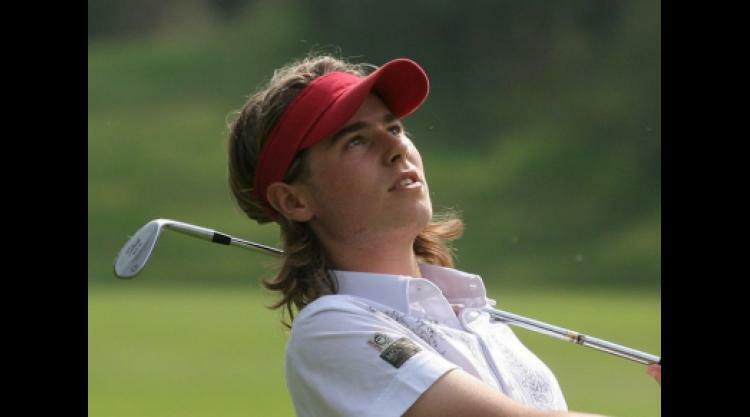 A new man sits atop the World Amateur Golf Ranking this week. France's Victor Dubuisson, who was crowned Champion of Europe at Chantilly in August, took the Trophee des Regions at Golf de Fontcaude to ascend two places in the Ranking and become the world number one. Rounds of 66, 69 and 71 in difficult conditions carried the 19-year-old to a six-shot victory over Thomas Ellisade le Biarrot and Julien Brun, who was one stroke further adrift. "I came here for a little bit of training and it went well!" explained Dubuisson, who will compete in St Andrews at the 2010 Open Championship thanks to his European Amateur triumph. Canada's Nick Taylor drops to WAGRank 3 after spending 21 weeks as number one. In China, meanwhile, the inaugural Asian Amateur Championship was decided on the World Cup Course at Mission Hills Golf Club, Shenzhen. At stake was an invitation to next April's Masters Tournament and a place in International Final Qualifying for The Open Championship. It was Korea's Han Chang-won who would emerge victorious, five shots clear of compatriot, Eric Chun. Leading by two going into the final day, the 17-year-old held his nerve to post a Sunday 70 and ensure his place at Augusta National in 2010. Han leaps 121 places to WAGRank 151 while Chun, who also gains entry into International Final Qualifying for The Open, is up 69 to 20th. In Rio de Janeiro, Brazil, England's Jonathan Bell became the new Faldo Series Champion when he completed a wire-to-wire victory. The 18-year-old's three-round total of 212 was enough to edge out compatriot and Boys Amateur Champion, Tom Lewis, by one shot. Bell, a member of the winning GB&I team at the recent Jacques Leglise Trophy Match, ascends 174 places to WAGRank 381. Finally, the University of San Diego's Joseph Harrison gained entry to the Ranking after taking medalist honours at the Kaua'i Collegiate. A final-round 69 ensured that the sophomore, from Boulder City, Nevada, finished one shot clear of the field on an 11-under-par total of 205. In a superb performance, Harrison, now ranked 2639, defeated players ranked well inside the Top 100 to claim his victory.